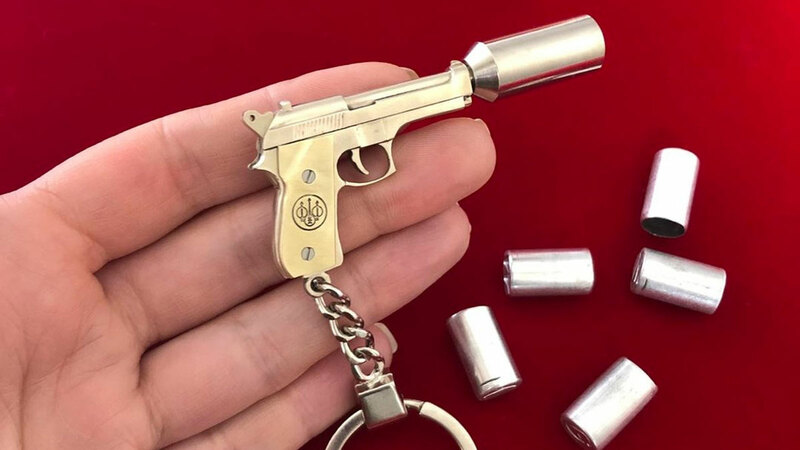 New to my list of Things That Make You Go Awww: the Beretta Signal Set, a 2mm pinfire gun that, despite its miniature status, shoots more than just a flag that says Bang! The palm-sized Beretta is designed to fire both signal flares and 2mm pinfire rounds. 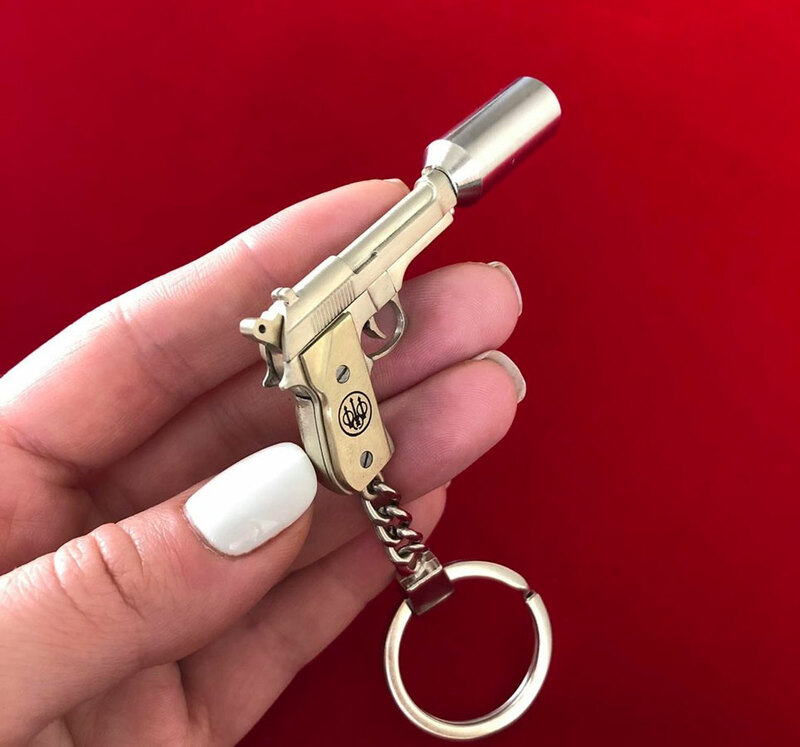 Hikers, hunters, skiers, and other outdoorsmen and women might like to have along for the fun so that if the fit hits the shan, the skare can hit the fly. 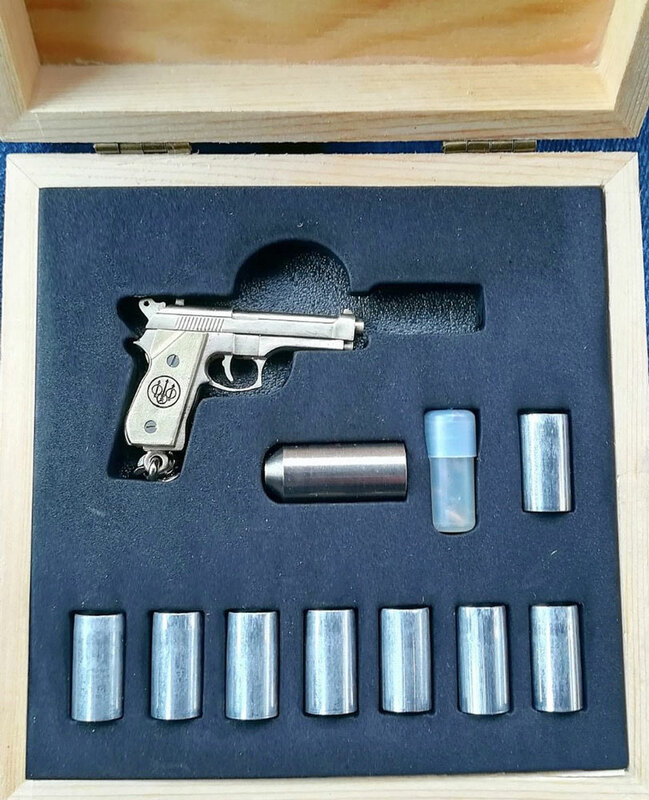 Beretta's flare gun is handmade, and comes packaged in a wooden box that also includes 25 pinfire rounds and 8 signal flares.